The design star event was sponsored by ADC - Art Design Consultants as a venue to showcase the interior design talents of some of Cincinnati's leading designers. Each month a different designer or design team was selected. They were challenged with creating a room within the gallery to be unveiled at the ADC design star unveiling party. The designers could select and use any art from the hundreds of paintings in the gallery. I'm very honored and grateful that my work was featured in five of these exciting parties. Owner & Senior Designer at Dwellings in Cincinnati, OH. "I met Lisa many years ago when I was chairing a gala for families affected by HIV/AIDS. We were trying to raise money to hire a full time mobile nurse to assist these patients for the stop aids organization. She painted an original for our live auction and it sold for thousands, it was a glorious night! Although she may appear quiet and composed, Lisa Schuster is dramatic person inside. She expresses her life emotions in large, spontaneous and wonderful oil paintings on metal. She focuses on the sensual nature of art, aiming to depict the complications of life through a combination of strong color, textures and symbolism. With dozens of successful exhibitions under belt, she is now a seasoned, professional true artist and a wonderfully strong woman who has overcome many adversities. She can now paint with the joy and freedom we are witnessing in her new pieces". "Creativity, energy, diversity and "love" are the words that come to mind when I think of Lisa Schuster and her paintings. From her exuberant abstracts, to her sensual nudes, it's obvious they are all created with intense passion and undeniable talent. But the most compelling element that I see (and feel) when I look her paintings is love. The aura of love surrounds each piece she creates. Her love of her family and children, her love for her lifelong friends, her love of living life to its fullest and of course her immense love of what she has dedicated her life to - painting. It's a love that is so strong and so fierce that you can't help but fall in love with her and her beautiful work. 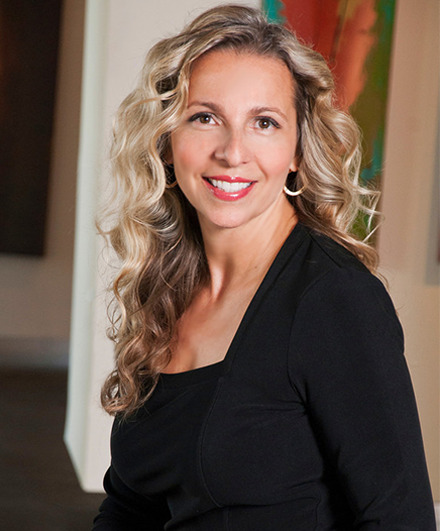 "As an interior designer it is rewarding to start with one of Lisa's paintings as the inspiration for the room. Her technique of painting a realistic floral arrangement ranks with the old world masters. I remember studying one of her tulips when I was first introduced to her work and remember thinking how extraordinary it was. She is an award winning artist and a beautiful person inside and out." "I have been representing Lisa for many years. Her diversity and mastery of so many styles speaks of the remarkable level of her passion and talent. She is a fun and joyful person to work with and has proven herself to be a person of immense charm and character." Follow Lisa on social media!